So what is it, once all is said and done, that makes the difference between a successful rescue and a failed one? 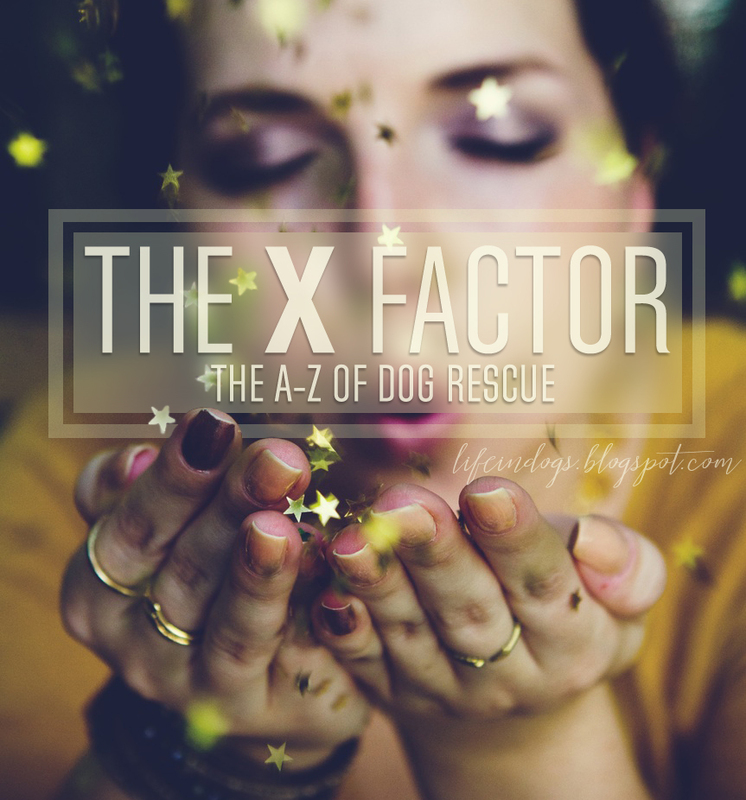 All month we’ve been talking about what to do and how to do it, but—really, does this all add up to a fail-safe recipe for success in dog rescuing? No, of course it’s not that simple. There are too many variables in dog rescue. Too many unknowns. Too many X factors. 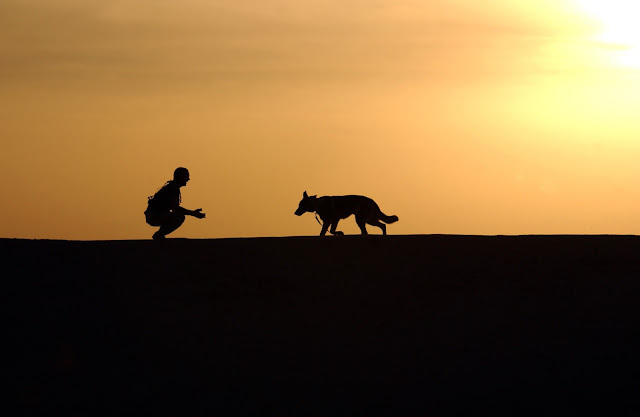 Beginning with the dog, of whose history you know nothing. You may assume and deduce and guess, but… no, not know. Same goes for his/her character. And these two things, their history and their character, are a huge factor. How skittish is s/he? How responsive to the lure of food? Plenty of strays and ferals prefer the safety of distance to the reward of even the tastiest morsel. Regardless of the integrity of your intentions and your own preparation and experience, any number of things over which you have absolutely no control have the potential to affect the result. Sometimes these variables play right into the plan. Sometimes everything just falls into place. Sometimes what seemed like a disaster ends up being a most unexpected windfall. It can be something as idiotic as your phone ringing just as the dog is coming closer. Or a curious stranger approaches and scares them off. Or workmen nearby start up their hydraulic drill. It can be something as unforeseeable as the dog having negative associations to the food you’re using as bait—or, on the other hand, maybe your scent is similar to someone’s that the dog loved once, and your fellow rescuers will watch on in amazement as this frightened, catch-me-if-you-can dog approaches you with ears down and tail wagging, and begs for a belly rub. When stuff like this happens, you realize that your role in this whole thing is actually very, very small. Rescue truly is about being the right person at the right place at the right time. And that rightness… well, it just can’t be predicted. Rescuers differ from other animal lovers in that they’re willing to put in the effort—the chase, the weeks of building a feeding routine, the counter-intuitiveness of approaching a snarling dog to slip a leash around his/her neck—to find out. And willing, also, when the rightness simply isn’t there, to try again. And again. Over and over. The difference between a successful rescue and a failed one is blind, cosmic luck. You can get the odds to lean in your favor if you’re prepared, if you have some experience, if you’re in the right mindset. But, bottom line, what will make you a successful rescuer is perseverance. Stubbornness. When everything fails, you don’t give up. Because you have the absolute certainty that, sooner or later, that unknowable, unforeseeable, uncontrollable X factor will be in your favor. And you have the patience to wait for it. 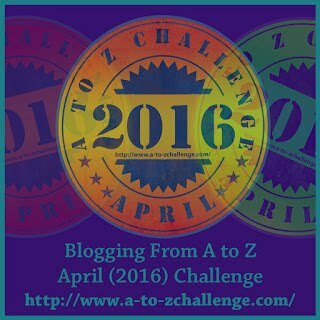 Can you believe we're two posts away from the A-to-Z Challenge finish line? Kind of bittersweet, isn't it? On one hand I'm looking forward to the end of my sleep deprivation... But on the other, quite honestly, I'm going to miss this daily interaction with you all. It's been such an enriching month, at so many levels. So, please, let's stay in touch, yes? P.S. for those of you who so generously insisted these posts should be turned into a book: I mentioned the idea to my publisher—and he's interested! 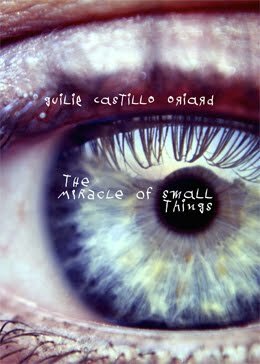 Sight-unseen as yet—and maybe, once he reads all this, he'll feel differently—but if he does like the posts, there will still be a lot of work ahead to build a book worthy of calling itself such. Sooooo... if you have any suggestions, topics that we didn't touch on in the series, or ones you want more of (or don't want more of), please let me know. Your feedback has been instrumental in the success of this series, and will be even more so for the book. Another excellent post, Guilie. I have enjoyed your posts enormously - so interesting and informative. Congrats! I know this will be an awesome book! And like I said: I'll be the first in line to buy it! Another great post Guilie. 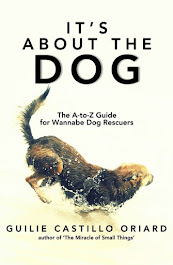 You have laid out all the issues in dog rescue and I've learned a ton. What you all do, every day, several times a day, never giving up is so admirable. I have the deepest respect for you rescuers and for the kind loving hearts you bring to the job every day. "90% hard work, 10% luck" is just about right, Debbie :) Glad you like the idea of a book! I've noted a reminder to emphasize what non-rescuers can do (which is a lot, actually) to help. Thank you for that! Thank you, Birgit! That was indeed the intention at the start, so I'm very happy to hear you feel that way. It has been wonderful following along this month :) As hard as it is to read the sad stories and statistics that go along with rescue, it is wonderful to know that there are people out there who care. A BOOK!! OF COURSE IT SHOULD BE A BOOK!! How incredibly awesome!!! My oldest daughter (25 year old) is adopting an eight year old cogri. The corgi seems so nice and now that the corgi is getting comfortable her personality is really coming through. The rescue has a trial adoption. The adopter is required to take the dog to the a vet within two weeks of adoption and I don't honestly know any of the other requirements. I think this is a great system to make sure the dog is a good match for the family's sake and the dog's sake. About the book, you could always self publish on Amazon couldn't you? It totally sounds like it, Shelly. I'm so glad things are going well with your daughter's new Corgi—adopting an adult dog always comes with its own challenges, but the rewards far outweigh them :) It's been such a pleasure to connect with you this year! How exciting, yes, with each chapter you have these wonderful real life stores as examples, I can only imagine the donations such efforts will bring in. This is wonderful! Congratulations! Oh gosh, almost over, I know what you mean - so thrilled and yet it has been such fun! You really have to have determination and commitment to work with rescue dogs. It must be so rewarding when you are successfully able to help one of the dogs. Very, very rewarding indeed, Karen :) Thanks for coming by! I have enjoyed these posts immensely and have learned to appreciate rescuers a whole ton more!! But what is the value of X? Enquiring minds (and algebra teachers) want to know! We also have a problem with homeless dogs here in Germany. Unfortunately, the American Military families leave their dogs tied to trees or wandering somewhere in the woods when they depart to go back to the United States. Ugh, Pat, I hear you... Dutch military families do the same here in Curaçao. Heartbreaking. It has been a great series and I've learned a lot so far. I think if this were to become a book I'd like to see two things. 1.) At least one detailed account of a rescue. From first learning there was a dog in need, to the happy ending. I good success story makes everyone feel better. It would probably work best right at the very end. To illustrate that all this hard work does pay off. I know there have been a few examples so far, but I'm just giving my input. 2.) The brass tacks of when a dog rescue goes awry. 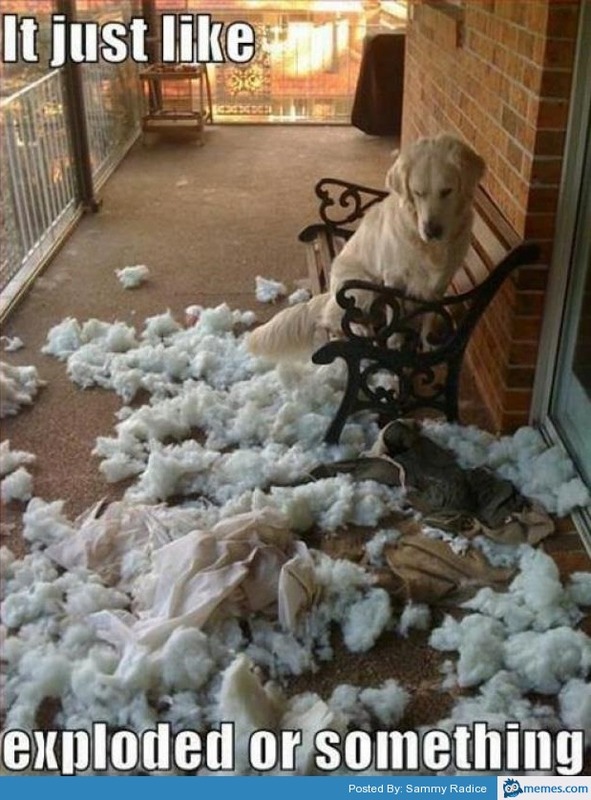 What happened, what was at fault? Could it have been prevented? The last question probably the most important. Yes, there are some X factors involved. But sometimes we just make poor decisions. Knowing what has gone wrong, will help others not make the same mistake. Well, I hope that makes sense. Hope you don't mind my input. Jeffrey, this is GREAT! No, of course I don't mind; this is exactly what I need—thank you! Both suggestions are excellent, and will be incorporated into the final manuscript. Again, thank you so, so much! Hearing all the things that can go wrong (and do) and all the things that can go right (and do), it seems to me that remembering past successes is key. When that kind, but clueless, stranger scares off the dog, that would be a good time to remember the one that just came up to you and rolled over for a belly rub. Otherwise, the frustration. Oh, the frustration. You must have tons of patience. Thanks for the visit! Your comments always, always make me smile. So true about the blind luck factor. I rescued a Shar Pei once. He was so thin I didn't know he was one of those until I'd fed him a few day. And all he did was lie on his bed, eat a bit and drink. Then when he began to feel better, his true self emerged. A runner! And did he take off. 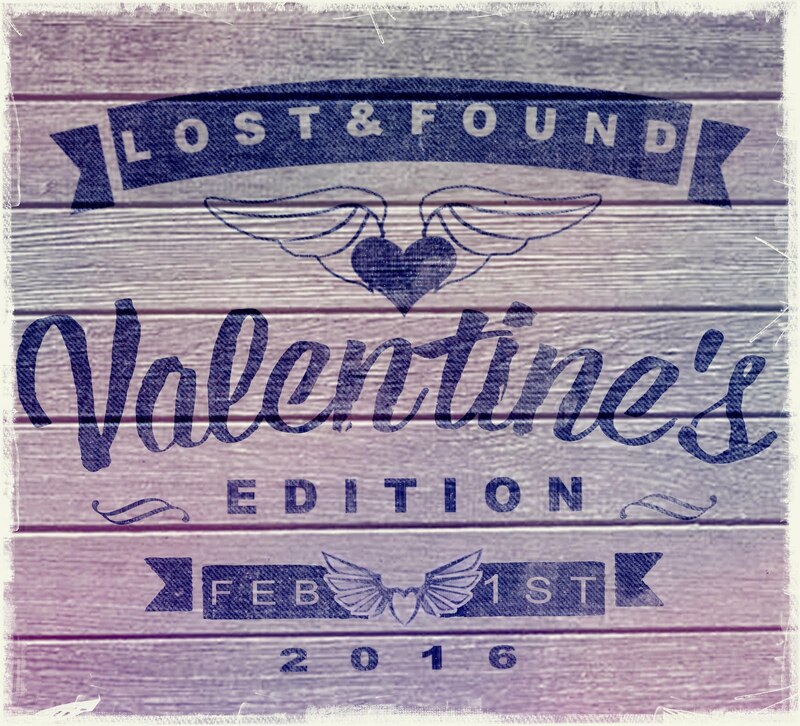 I was forever, having to search for him. I finally found him a home with a high fenced yard. He was an unexpected challenge. But excited to know this will become a book - loads more space to elaborate on real life examples, lessons learned, create greater awareness, reach out to more people. You have such a compassionate and forthright voice I am sure it will reach places where it is most needed. What exciting news about the possibility of a book! So glad there are stubborn people out there. The idea of a book is a great one! Hey publisher - are you listening? Thanks for the support, dear friend!